STEVE Ward is no stranger to jetskis, but this week he is on a jetski mission with a difference, as he joins about 110 people on a charity trip from Bundaberg to the Whitsundays. 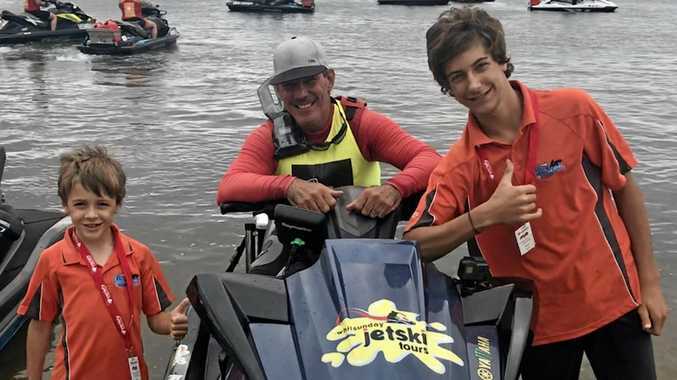 The Whitsunday Jetski Tours owner is taking part in his ninth Yamaha Variety Jet Trek which started on Monday in Bundaberg and will finish on Saturday at Hamilton Island. The six-day 860km adventure will raise money for Variety - The Children's Charity for children who are sick, disadvantaged or have special needs. Mr Ward aims to raise $3000 in this year's event to provide practical equipment and experiences for children in need and their families to overcome the obstacles they face, and help kids be kids. With a support crew, consisting of wife Toni and sons Rhys, 15, and Will, 8, Mr Ward alone has raised more than $30,000 over the years for Variety - the Children's Charity. Since the inception of the event in 1998, more than $1.8 million has been raised to empower Aussie kids to reach their full potential regardless of ability or background. Now in its 21st year, the jet trek is Australia's largest and most successful charity personal watercraft event. Mr Ward was first inspired to take part in the trek because it was the perfect combination of raising funds for children while being part of a special jetski community. 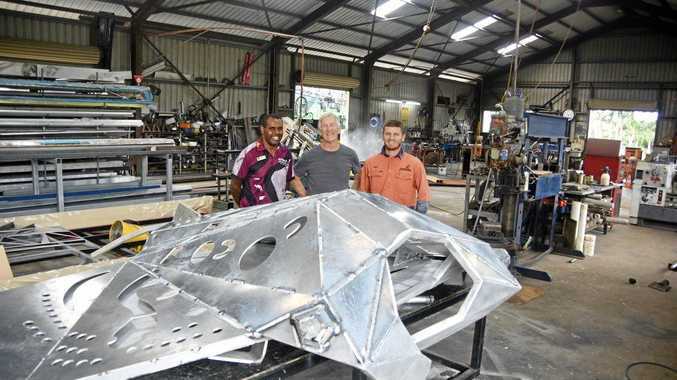 "Our motto has always been 'Doing it for the kids',” Mr Ward said. "There are some very special kids and families out there who are struggling a little harder than most and we are more than happy to give up a week of our fortunate lives and dedicate our time to giving, as well as take on the challenges of jetskiing some incredible coastlines of Australia. "It's easy to pay it forward when you see how dramatically improved these families' lives are. To help Mr Ward reach his goal, visit https://yamahavarietyjettrekwhitsundays2019.raisely.com/steveward to donate or register at variety.org.au/qld/.